Bullet Proof 5 | BP5 | SuperSpeed USB 3.0 with UASP | External Solid State Drive The MyDigitalSSD Bullet Proof 5 (BP5) SuperSpeed USB 3.0 external solid state drive is the ultimate on-the-go storage solution for Notebook/Ultrabook/Chromebook/NUC Mini PC/Desktop users, of all experience levels, who demand more from their device. Designed with function and style in mind, the BP5 is small enough to fit in your pocket and packs a serious punch with transfer speeds up to 465MB/s for performance that allows users to load programs or boot an OS directly from their USB port. The BP5 also features an integrated USB 3.0 cable for hassle free transportation and includes 4 interchangeable rubber sleeves to match any mood or outfit. 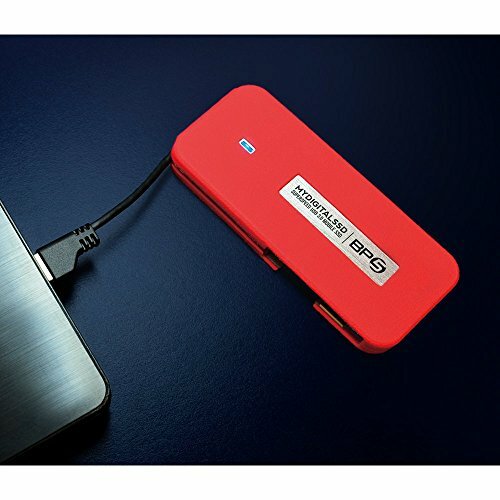 Securely bring all of your photos, music, videos, documents, and more, wherever the road may take you, with an all-in-one device that enhances your mobile computing experience - the ultra-portable MyDigitalSSD BP5 SuperSpeed USB 3.0 external SSD. Performance Testing Test Environment: USB 3.1 port on ASRock Extreme6/3.1 / Intel Core i7-4790K 4.0GHz / 16GB RAM / Windows 7 Ultimate 64GB / Driver UASPStor Disclaimer: Results may vary based on computer configuration, environment, and testing methods.